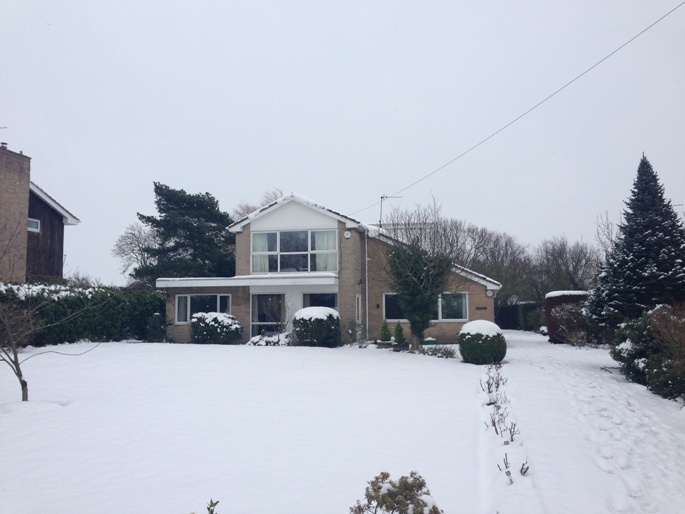 Our clients approached bi design prior to purchasing a 1970’s detached property which desperately needed renovating. 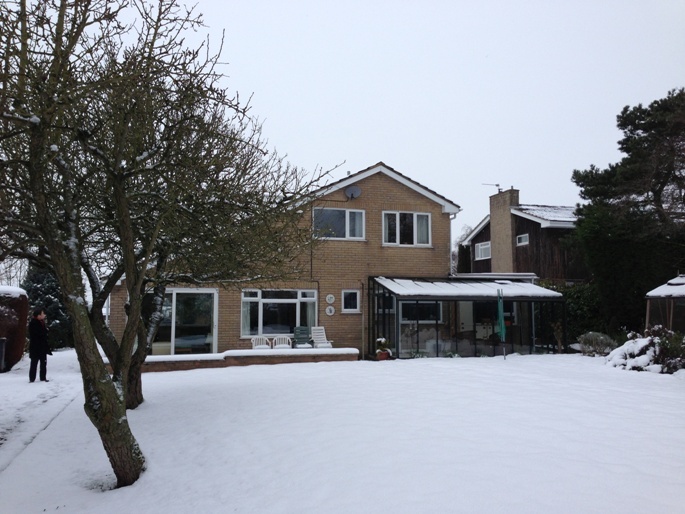 The existing house had a large catslide roof to one side of a main gable and a flat roof to the other. 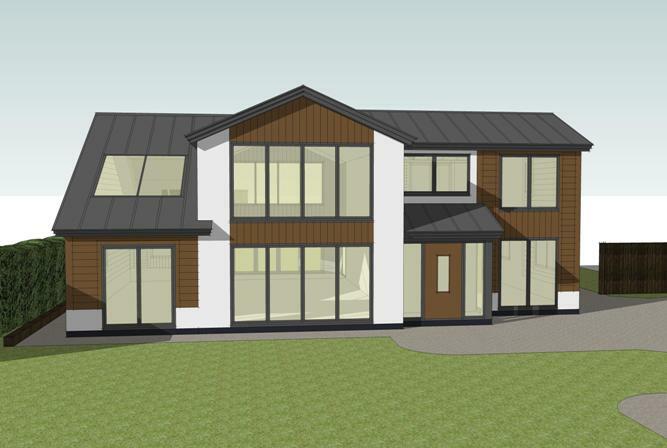 Our clients wanted us to demonstrate how we could maximise the potential of the house prior to finalising the purchase. 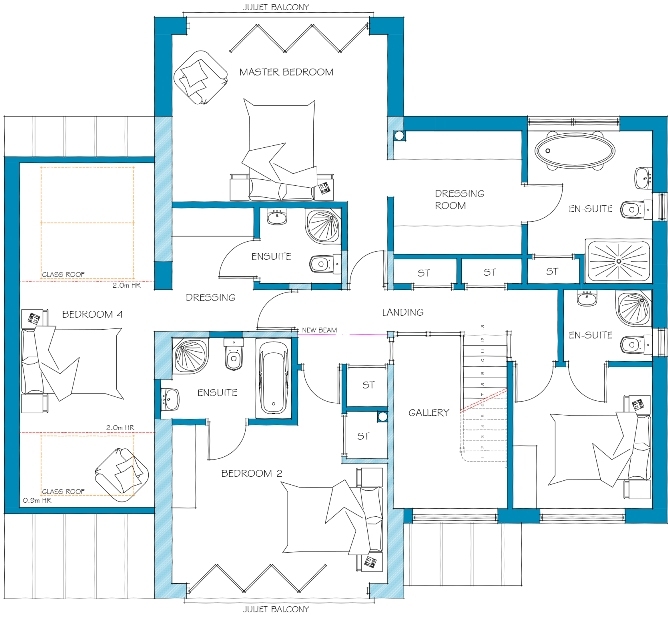 Our clients brief wanted to create 4 en-suite bedrooms with modern living spaces to the ground floor. 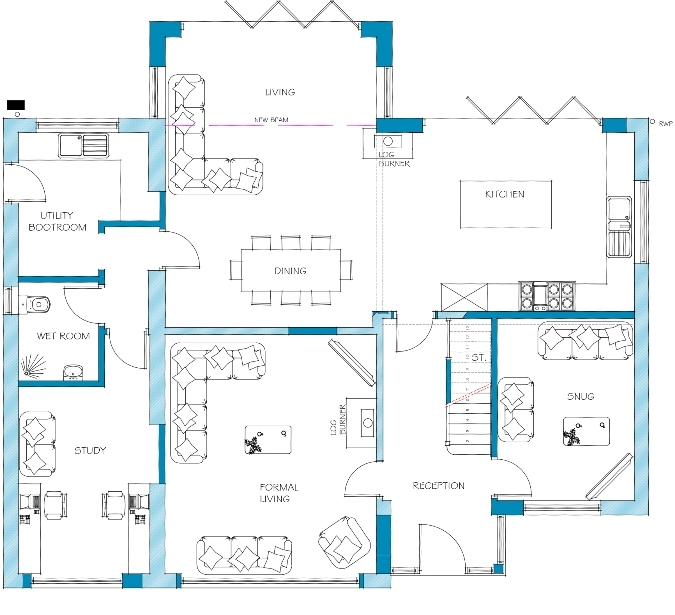 We presented two concepts to the clients both with 2D plans and 3D perspective views of the front. Both schemes exceeded the expectations of the clients and so they proceeded with the purchase. 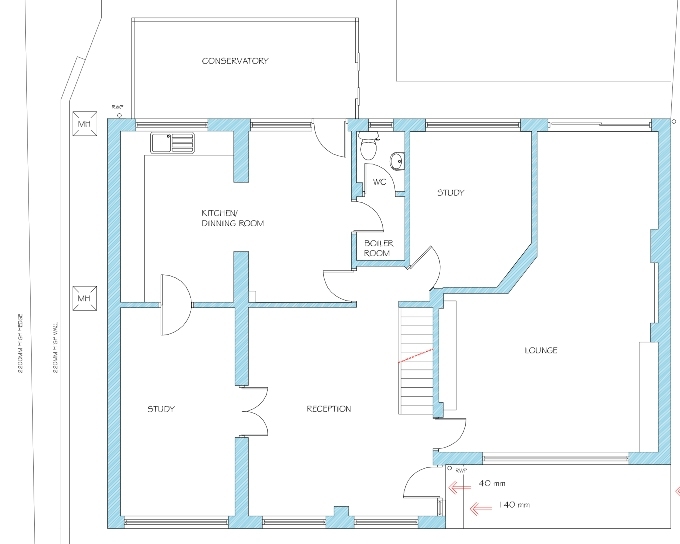 Prior to completing the design both schemes were costed by a local Quantity Surveyor to analyse which scheme would be most cost effective in terms of outlay to end value. 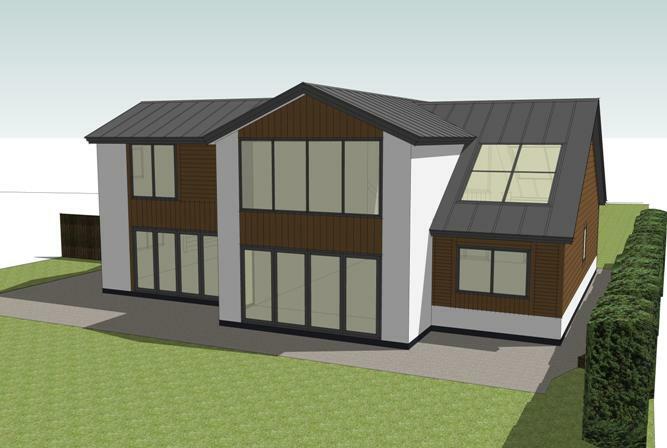 The outcome was to create new first floor accommodation over the flat roof and catslide and add a small two storey extension to the rear. The existing front gable had a low roof pitch and oversized windows. 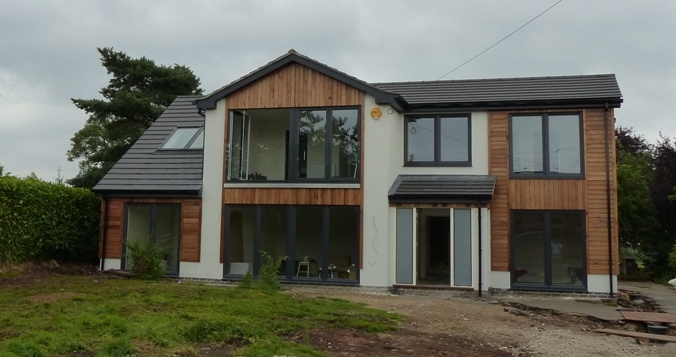 We transformed the external appearance of the house with render and cedar cladding as the modern materials match the form of the existing structure. 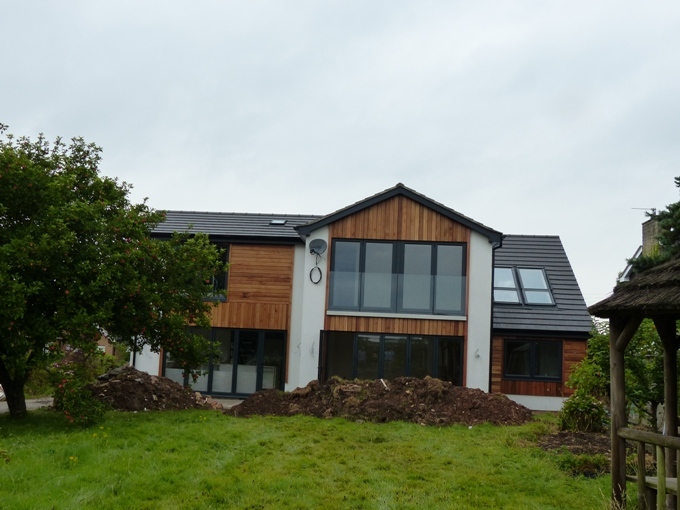 The existing house was heated with an old blown hot air system which was completely removed and replaced with a renewable air source heat pump system with government feed in tariff. 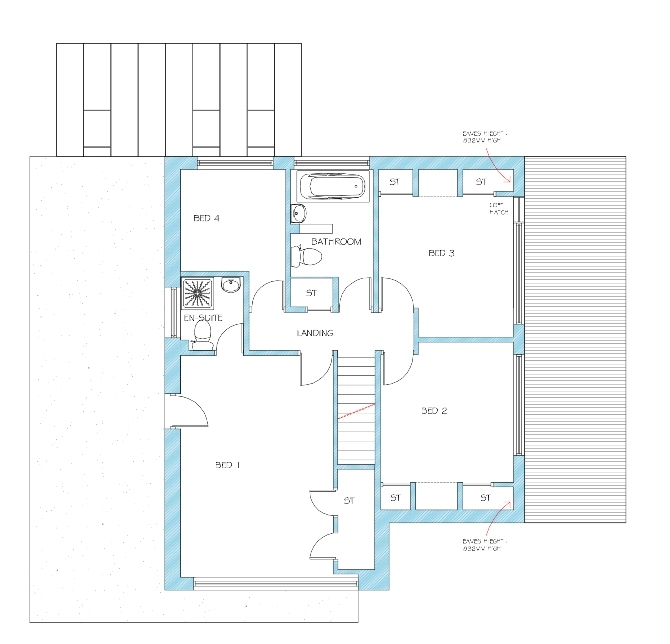 As part of the work the existing floors were broken out and replaced with a new insulated slab incorporating wet underfloor heating which works well with heat pump technology.